Sara Angelica Spilling is exhibiting the móðir jörð series at two locations in Oslo: Icelandic restaurant Katla and café and workspace Tøyen Startup Village. Sara Angelica Spilling is a fashion, portrait and art photographer based in Oslo, and a long term member of our collective. móðir jörð was the result of Sara’s solitary journey to Iceland, where she explored the country’s scenery through the lens. Four works are displayed at Icelandic chef Atli Mar Yngvason’s new restaurant Katla in Universitetsgata in Oslo. The name “Katla” stems from the giant volcano on Iceland. 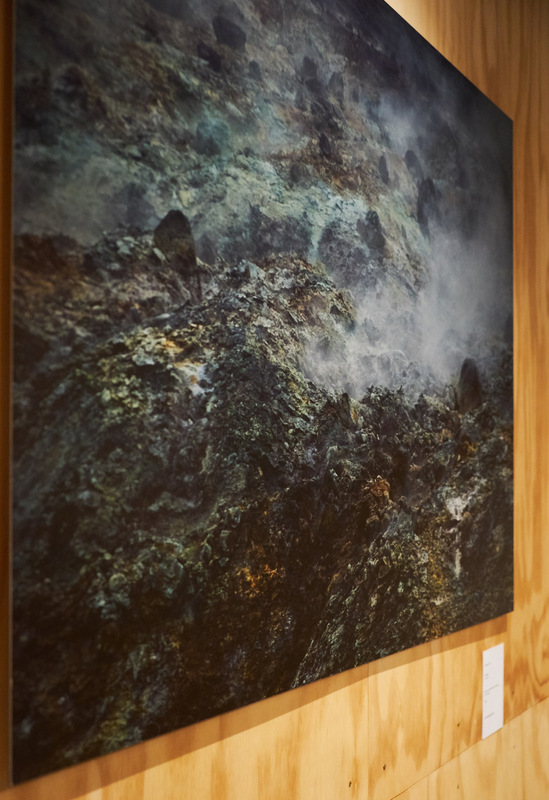 Sara Angelica’s earthy and volcanic compositions in the photo series makes the perfect backdrop! All pieces are for sale. See Sara Angelica’s website for more info about the work and pricing.